Special services club offering monthly meetings, training classes and general advancement of ham radio in the Northwest. AI7HO Hermiston Amateur Radio Club - The Hermiston Amateur Radio Club evolved from an informal coffee break in the late 1970's. The group met to discuss amateur radio topics and to support the 147.03 repeater. It was located at Ernie Netter's on Loop Road. 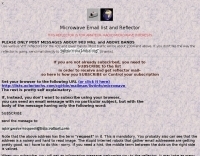 HIDARG High desert amateur radio group - High desert amateur radio group, amateur radio operators who live on the Oregon high desert plain that extends from the Cascade Mountains east into Idaho and south to California. Radio Operators Association of Dallas - The Radio Operators Association of Dallas (ROADS) Club exist to promote interest in amateur radio communication and experimentation, fostering of education in electronic communications as it applies to amateur radio, development of individual efficiency, cooperation among members. and furtherance of the public welfare. Salem area ham radio training - Our goal is to provide comprehensive, regular training for the ham radio community in and around salem, oregon. W7GRA Grande Ronde Radio Amateurs - Most members of GRRAA reside in Union County and Wallowa County Oregon, however we welcome any and all that have an interest in amateur radio. 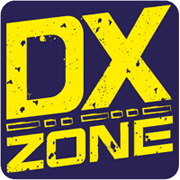 Willamette Valley DX Club - Formed in 1955 is an incorporated Amateur Radio club dedicated to the promotion of DX information and operating by members residing in the Willamette Valley and Southwest Washington.